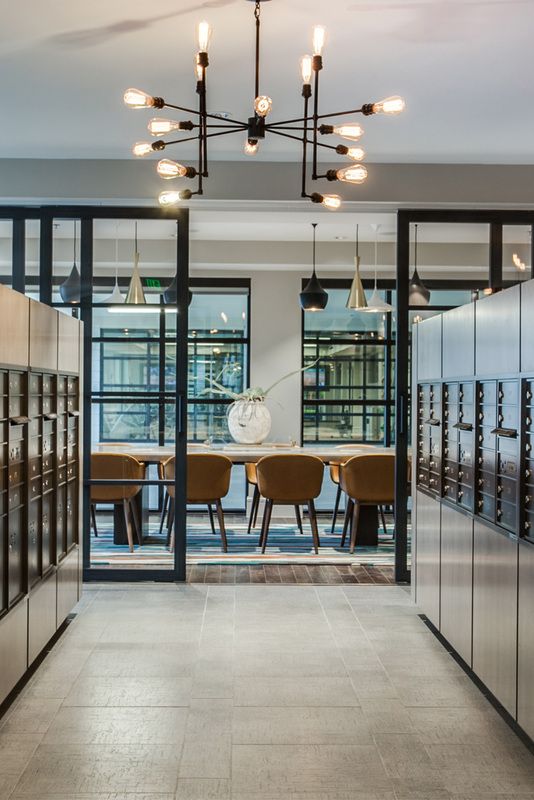 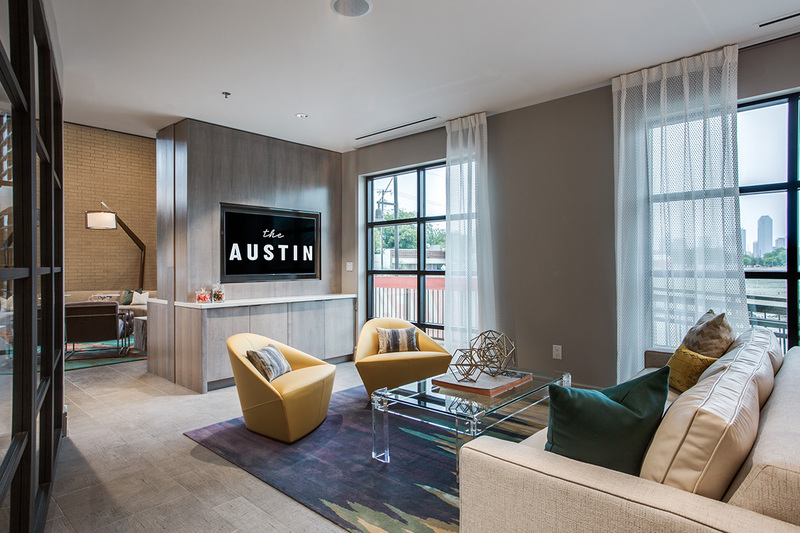 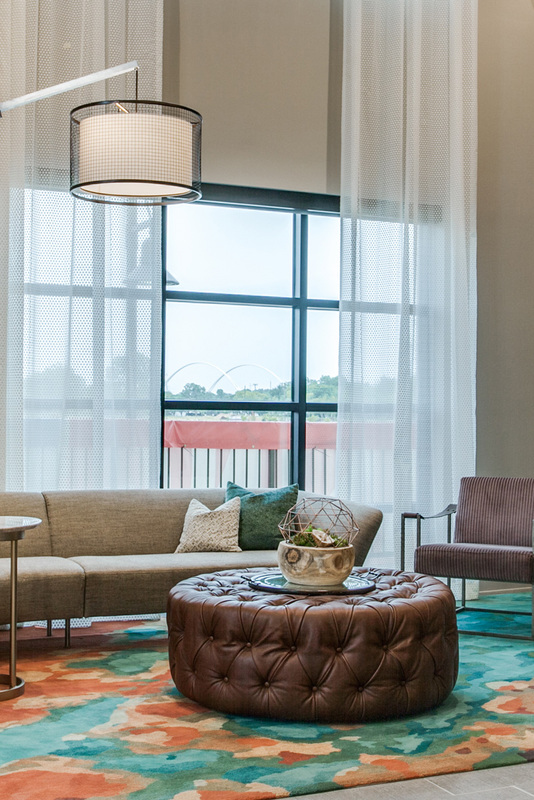 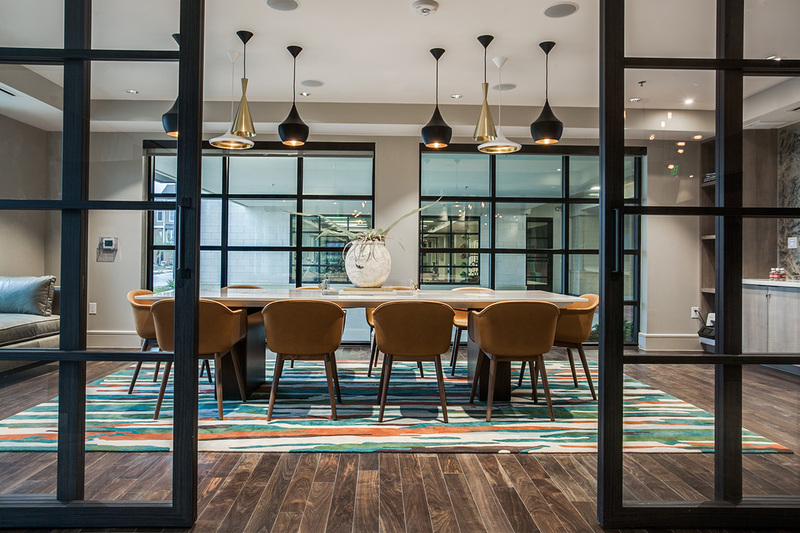 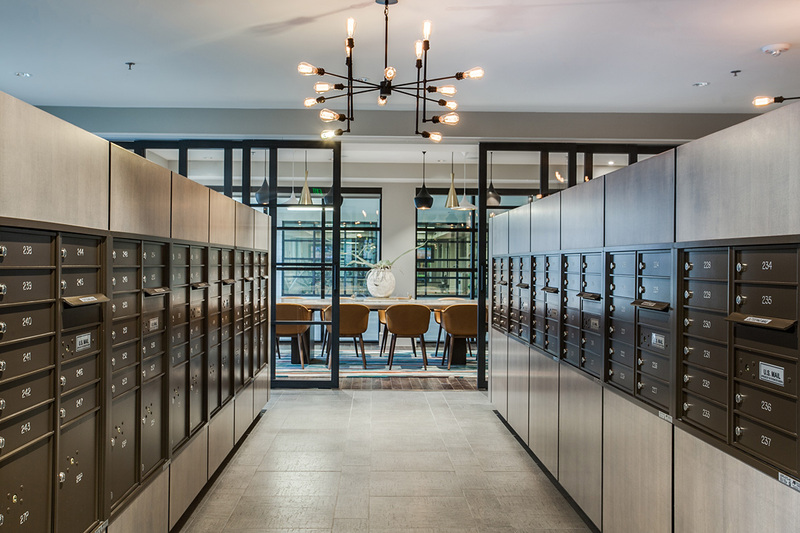 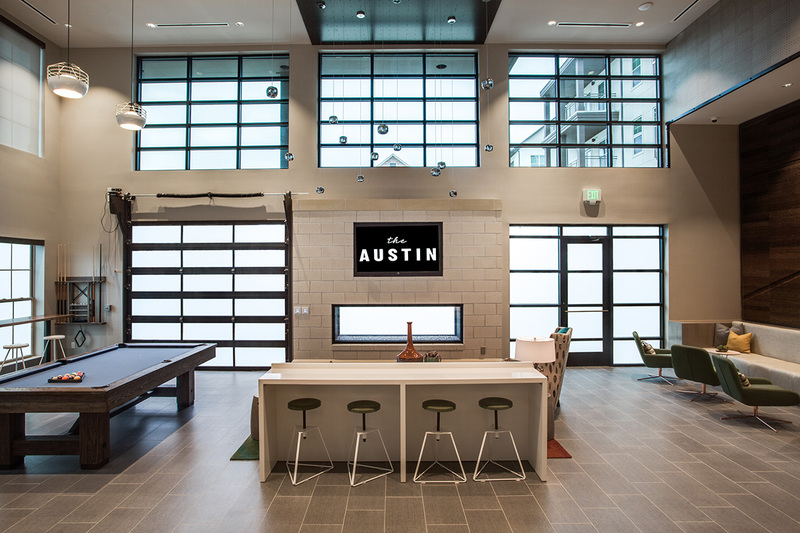 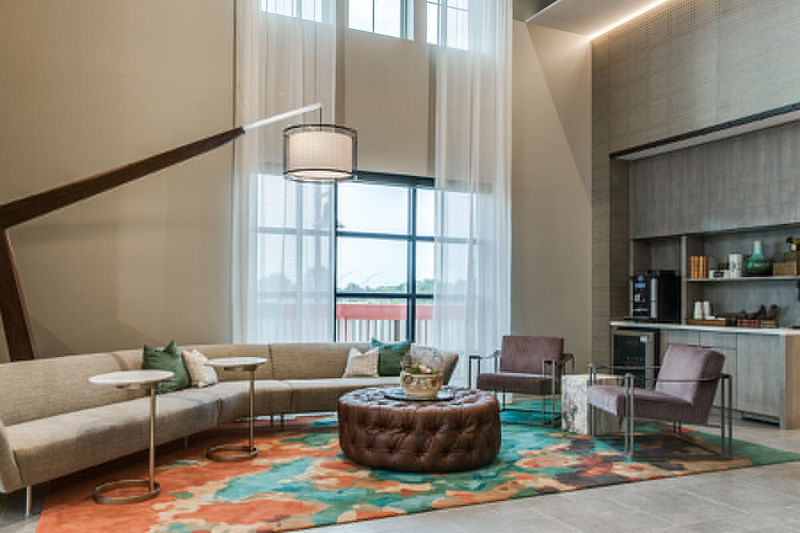 The Austin at Trinity Green provides a unique lifestyle unlike any other in the Trinity Groves area. 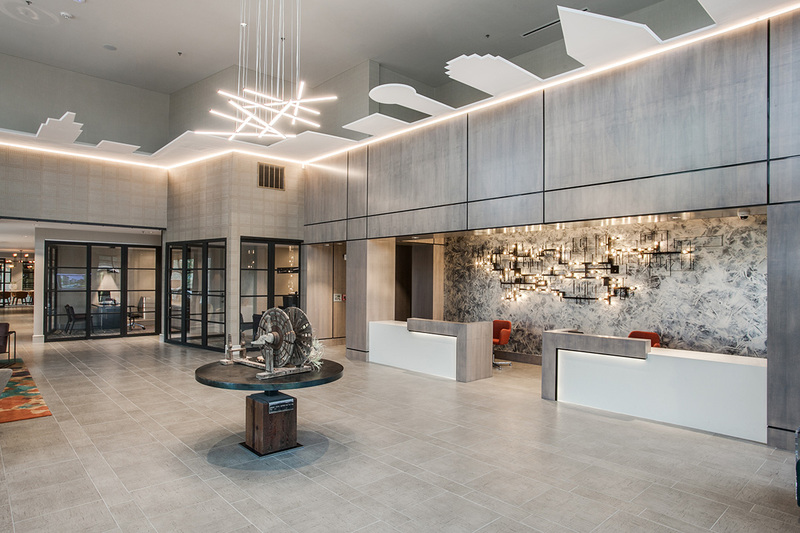 Key features include a 1 acre private park with enclosed dog park, infinity-edge pool, state of the art fitness center, fully equipped conference room, and spacious clubroom featuring a billiards table, double sided fireplace, and gourmet kitchen with warming drawers and private dining room. 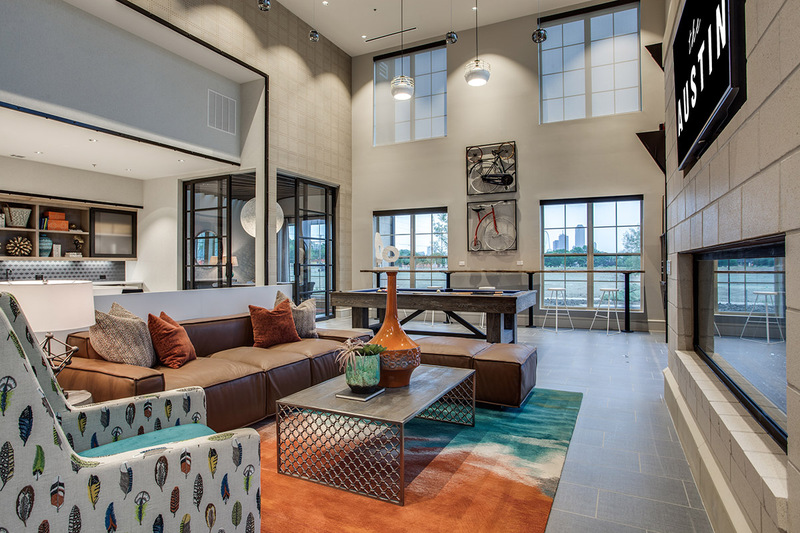 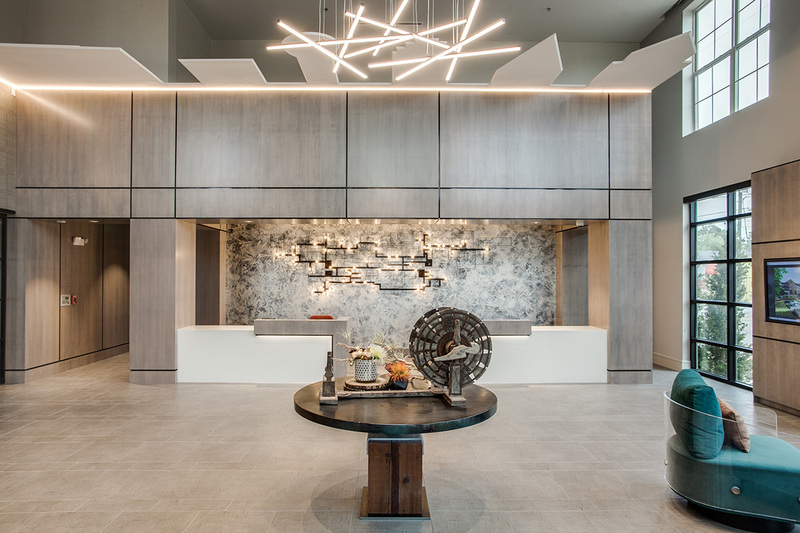 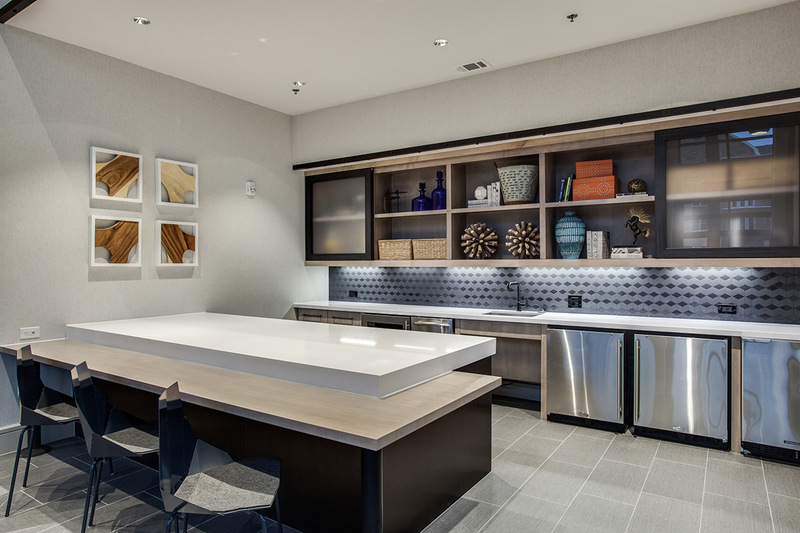 This luxury West Dallas apartment community puts tenants in close proximity to the best in the area: delectable dining, superb shopping and fine entertainment. 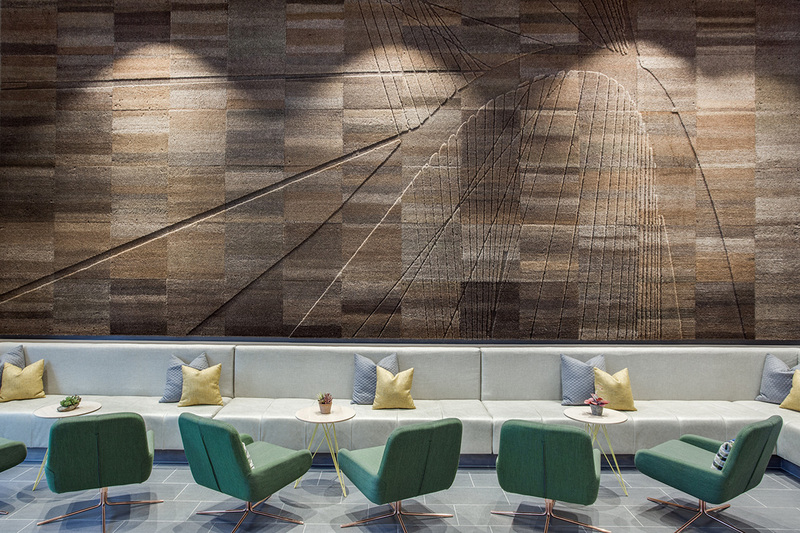 I+O worked with the Brown Brush company out of New York to put together this "Margaret Hunt Hill Bridge" inspired mural, hard-carved from horse hair bristles.